If you are a church leader, I’m sure you’ve been planning the fall schedule. It isn’t a new season in the liturgical calendar but it feels that way, doesn’t it? Not “ordinary time” at all. Sunday school teachers are gearing up for the new kiddos, and adult educators are writing up descriptions for their exciting classes for the church bulletin. Pastors, especially, have been thoughtful about sermons, projects, goals, meetings. I know this is true for most of us, and especially church leaders. We here at Hearts & Minds like to talk about how Christian conviction informs and shapes all sorts of things, from politics to the arts, from parenting to our work lives. I hope you saw the post from a few days ago about well-written memoirs. We write a lot about cultural renewal, social justice, hoping that our books help you long for and work for reformation of society at many levels. Yes, yes, that is the “gospel of the Kingdom” and our missional mind-set allows us to claim, with old Abraham Kuyper, that Jesus Christ claims “every square inch” of life in his world. Kuyper insisted that no aspect of life can be sequestered off, unconnected from our spirituality and Biblical principles. That is why I especially like the subtitle of Tom Nelson’s book Work Matters: Connecting Sunday Worship to Monday Work (Crossway; $14.99.) All of life is religion. But, we also believe that church renewal—call it revival if you want, or congregational re-vitalization—is needed for much of any of the above to happen. Christian laypeople won’t be all that interested about faith and public life, living robustly in ways that witness to the realities of the Kingdom in all of life, eager to think Christianly about their various vocations and offices if they aren’t immersed in the Biblical story, which, some think, comes best to us as we follow the rhythms and notions of the liturgical calendar. 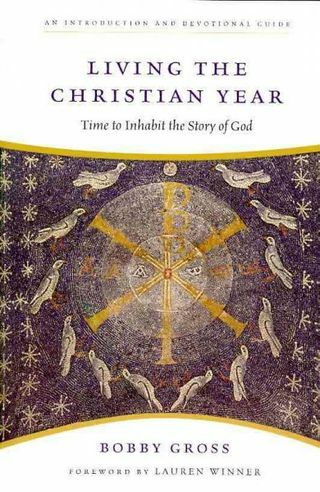 Lauren Winner writes powerfully (in the preface of Living the Christian Year: Time to Inhabit the Story of God, Bobby Gross’s wonderful year-long devotional on the church calendar [IVP; $17.00]) how we have been too shaped by the educational year of secular schooling, feeling more rejuvenated by “back to school” motifs in September than the new year of Advent, starting in late November. You should dig out your copy and read that passage as it is well written and true. Be that as it may, the leisure of the summer months allow some of us to be a bit low-key in our congregational lives in July and August. So now, we ramp it back up. I’m sure I’m not the only one praying more and more each day about the new stuff happening after Labor Day. And so, a handful of books I’ve been accumulating the last month or so, waiting to share them. Buy one to help you focus, one to keep you thinking, get another for later. Maybe you can give one to your pastor, or start a study group, reflecting on what church can be. All are 20% off—as always, just click on the links below. We appreciate it. Called to Lead: Paul’s Letters to Timothy for a New Day Anthony B Robinson and Robert Wall (Eerdmans) $25.00 I really liked their earlier book Called to Be Church: The Book of Acts for a New Day which did fine exegesis and storytelling of that Biblical book with an eye to application for contemporary mainline churches. In this sequel, the pastoral leader (Tony Robinson, who writes for The Christian Century and is a church consultant with the UCC, and a very fine writer) and the evangelical Bible scholar (Wall teaches at Seattle Pacific) expound Paul’s two pastoral letters, which obviously are important for congregational life. I really liked what I read of this and hope to use it more. Michael Gorman of St. Mary’s Seminary and University (in Baltimore, MD—good folks, by the way) writes “For a very long time the pastor-to-pastor Pauline letters to Timothy have been marginalized by some and grossly misinterpreted by others. It is now time for us to rediscover these letters and put them into imaginative conversation with the contemporary realities of church and culture. That is precisely what this fine study accomplishes with exegetical care, theological acumen, and pastoral insights.” He continues, calling church leaders to study it together, considering its “transformative implications for the church.” Walter Brueggemann wrote the forward. JR Woodward’s remarkable book defies categorization. To ‘create missional culture’ requires disciplined biblical and theological formation, discerning engagement with contemporary cultures, appreciative interaction with diverse resources, and the courage to experiment and to innovate. Woodward does all that and more. It really is (as Michael Frost, author of The Shaping of Things to Come and so many other excellent missional church books puts it) “a gift to the missional conversation.” But it is more. Creating a Missional Culture is a serious study of congregational life, of how to form leaders, of the role of men and women in leadership, and how decisions are made, of various roles of various kinds of leaders. (Teachers, for instance, he calls “light-givers.”) His suggestions about “polycentric” leadership is concise and very, very important. His critique of consumerism, and how local churches can equip people for service is suggestive of the shifts we simply must see if churches are going to fuel cultural reformation. You are holding a hard-won treasure. This is not some fluffy, shallow, exploration of the topic—those caricatures abound already. This book is well written, theologically well-considered, and peppered with the kind of missiological insights that only an apostolically inclined leader can bring. As a longtime practitioner of these idea, JR brings a distinctive practical edge to the equation, and to the reader is given real, live possibilities to implement locally. ions like “Cultivating a Life-Giving Spirituality within Community” to his astute observations on “The Cultural Web and the Neighborhood Church” he draws on authors from Frederich Buechner to Lesslie Newbigin, from Roland Allen to James Smith, drawing us into fabulous conversations, clear teaching, and visionary hopes. Highly recommended. 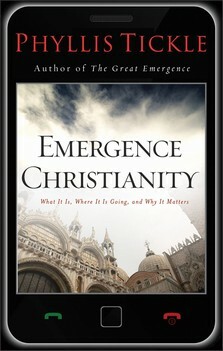 Emergence Christianity: What Is Is, Where It is Going, and Why It Matters Phyllis Tickle (Baker) $19.99 Many folks loved, and nearly everyone who read it, appreciated the simple brilliance of The Great Emergence: How Christianity Is Changing and Why (Baker, now in paperback; $14.99.) I whipped through some of this, then went back and read some more slowly, pondering and considering her big picture (and often humorous, sometimes maddening) claims. Many folks from all quarters insist that she is the person to write about this, with her encyclopedic awareness of movements, historical trends, era-shifting episodes, not to mention her vast knowledge of books and authors. She gets much of the story right, it seems to me (although sometimes it seems a bit curious, as if the wonderful Catholic Worker houses started by Dorothy Day had some influence on early emergent communities, which I highly doubt. Was Taize that important in North America?) She is an amazingly energetic social critic, and it is always fun being stimulated like this. Even if you don’t agree fully, why not go along for the ride–it is fun, interesting, and very informative.You’ll learn some things, hear about some books and authors and movements you may not know of, and see some dots connect in very clever ways. There are some great stories, even great full-color pictures. “Christianity is emerging with or without Phyllis Tickle,” says Richard Rohr, “but she is sure helping the rest of us to emerge along with it.” The wider historical context is essential to consider and she tells that story with gusto. There are various sorts of new faith expressions evolving and emerging. Highly recommended. I bet this will be one of the biggest selling books of this kind this fall. By the way, we have two different video curriculum resources of her, so let us know if you want more info. 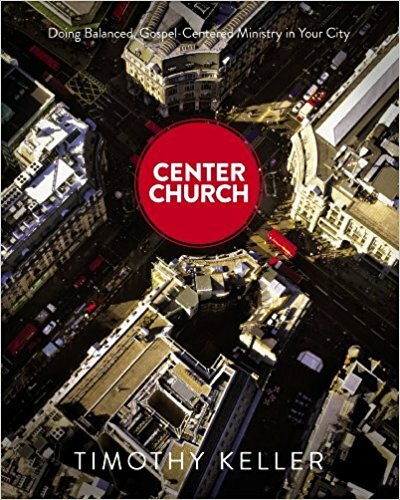 Center Church: Doing Balanced, Gospel-Centered Ministry in Your City Timothy Keller (Zondervan) $29.99 This has not released yet but we hope to have it early. Okay, it’s a text book. So there. No dust jacket, lots of sidebars, some color in the oversized pages, great summary points and good discussion questions for further learning. I think it is cool to hold, and I’ve admired it lots these last few days, even though it is hefty. And it is serious; this isn’t a simple sermon on “seeking the peace of the city” or seeking justice without reneging on core gospel truths. No, this is a wonderful set of essential chapters that lay out the basics of why we care about our places, why our churches must preach a wholistic gospel, and why our basic commitment to the authority of Scriptures demands that we do both evangelism and culture action, affirm vocations in the work-world and social social for the poor. He analyzes Niehbur and Kuyper on culture and the common good and gives lists of the best books on church growth and ministry. Yes, this covers a lot of ground, systematically and methodically. It is a masterpiece. Keller has been recognized for reaching secular urban professionals, of course, and his Redeemer Presbyterian has been a model for other outreaches and church planting networks in New York and beyond. Theologically he is a fairly conservative Reformed preacher, and a passionate apologist for what Lewis called “mere Christianity.” Yet, so many implications flow from there, so he is known for being supportive of the arts and in conversation with scientists, known for being helpful to hedge fund managers and inner city social workers alike. As you might guess, I am confident that whether you have sympathies with his PCA denomination or not, Keller’s work is very important and this is his magnum opus. I don’t know of any other book that comes close, doing what this does. The book is arranged around three main topics, which become central commitments: Gospel-centered, City-centered, Movement-centered. There are about 10 chapters under each and just a cursory reading of the intriguing and thoughtful titles of each chapter makes me want to stand and shout! This is truly a fantastic handbook, covering so much good stuff, in solid, clear prose. I sincerely hope many buy it. Keller notes that he has been working on this for a long time — it is the culmination of his years of ministry in Manhattan and the basic content he teaches as he mentors other young church planters and pastors. (Indeed, I am sure this will be used in their Redeemer City to City mentoring program.) While set in and for the city, Center Church is fully useful for those in suburbs and towns; it carefully helps us attend to local culture and contextualized social engagement within networks of influence which, while perhaps more tense and pressing in dense urban areas, are utterly essential to effective ministry in any geography. Also, this book is written for pastors, but I commend it to anyone, especially anyone involved in typical congregations; you will be a great blessing to your pastor and a more astute aid to your church if you study this material (especially if you share it with winsome enthusiasm and gracefulness.) The superlatives among the endorsements are striking, more striking than any book like this I have seen in ages. Again, this releases September 4, 2012. We expect to have it early. 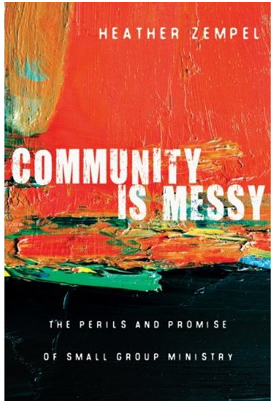 Community is Messy: The Perils and Promise of Small Group Ministry Heather Zempel (IVP/Praxis) $15.00 I am excited to share that the fabulous publisher InterVarsity Press has started this new imprint, called Praxis, which promises to offer quality resources for congregational leaders and church life. They hope to offer books of vision and expertise. “Visionary practitioners” is what they are looking for, and they insist in their blurb about the imprint that being is as important as doing “Praxis books are more than “how to” they are “why to.” “Praxis attends to the inner life of the leader as well as the outer work of ministry.” Feed your soul, feed your ministry! 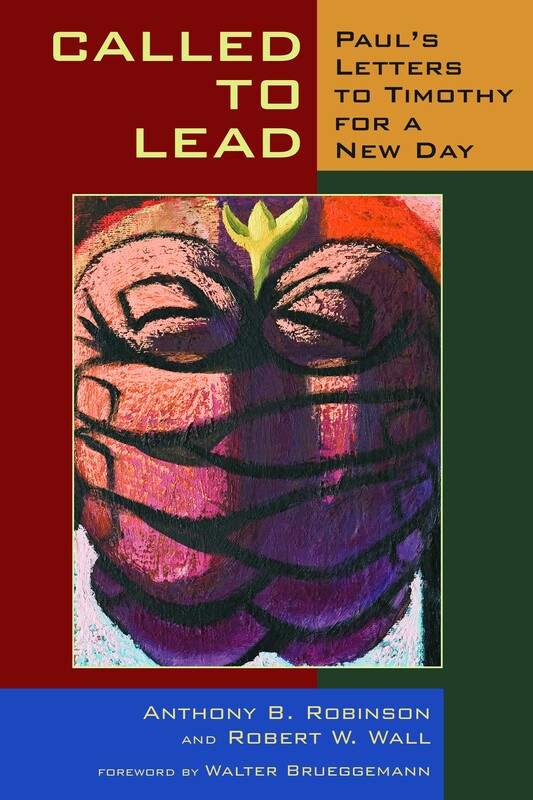 The first book they’ve released in this series is fantastic, a book I will report on later, on mentoring leaders. It is called great, called Protege: Developing Your Next Generation of Church Leaders by Steve Saccone; the extraordinary book described above by JR Woodward is on Praxis as well. It’s going to be a great line. most urgent issues in church life, and a topic everybody talks about. Whether you are a large church or small, very traditional or young and fresh, it’s important. In Community Is Messy, Zempel tells good stories, teaches much about running a small group ministry (sure) but it is more than a book about facilitating small groups, or even getting a church oriented to growth groups. It is about the foibles and struggles of our churches, how community takes time and–yes–is often quite messy. But, she insists, in every mess there is possibility. She’s upbeat and sharp, experienced and helpful. I think too many churches think that relationship, community, and small care groups just happen, and then don’t study this area much. Try this one. It is a must-read, fresh, hopeful, useful. 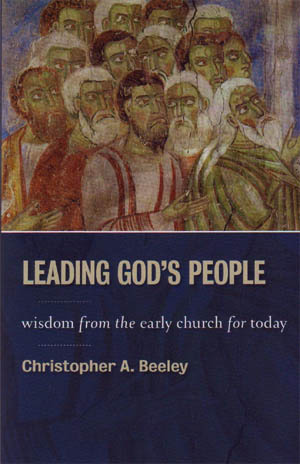 Leading God’s People: Wisdom from the Early Church for Today Christopher A. Beeley (Eerdmans) $20.00 We’ve heard the phrase “ancient-future” and there has been—in Biblical studies, in Christina social ethics, in liturgical studies—a real interest in the church fathers. Well, here you go: the wisdom of the past addressing the challenges of the present. Beeley is Professor of Anglican Studies and Patristics at Yale Divinity School. He obviously loves the great fathers of the church (East and West) and garners here raves from the Dean of St. Vladimir’s Orthodox Seminary and Rowan Williams, the Archbishop of Canterbury. Leadership should not be mostly drawn from management texts, and while some of the hip entrepreneurs are exciting, reading Gregory of Nazianzus, Ambrose, Chrysostom, and Gregory the Great, offers profound insight. Very nicely done. 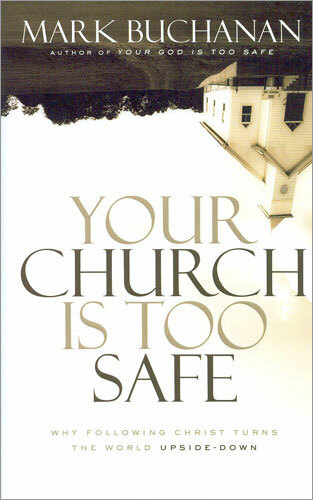 Your Church is Too Safe: Why Following Christ Turns the World Upside Down Mark Buchanan (Zondervan) $18.99 I have raved about other books by Buchanan, who is smart and astute, a fine writer and a wonderful storyteller. I think he is one of our better evangelical writers these days, more substantive than Lucado, more colorful than Yancey, a bit more energetic than Peterson, not quite as elegant as Barbara Brown Taylor. Still, he’s in that league, turning good phrases and offering solid insight. I loved his book about experiencing Jesus in the seasons of life and thought his book The Rest of God was one of the more inspiring things I’ve read on sabbath, resting and working in God. Here, he ponders that great verses in Acts 17 where it was said of the followers of Jesus that they “have turned the world upside down.” I laughed when I read Mark Gallie admitting “I don’t think I want to go to the church that Mark Buchanan writes about It would be too unnerving…But Buchanan writers with such verve and is so steeped in biblical truth, I think he’s convinced me to join that church, because in the end it’s a place where the unsettling and merciful God is found.” This book will bring you great pleasure and great stimulation, pondering his call to be that kind of a church, ordinary people, sharing a simple message of love and grace. Why is that so hard? 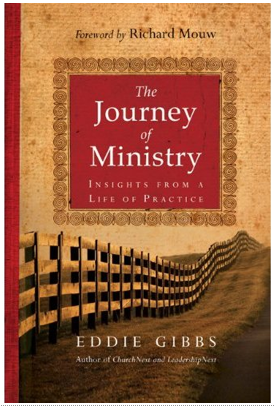 The Journey of Ministry: Insights from a Life of Practice Eddie Gibbs (IVP) $15.00 I like Eddie Gibbs and have appreciated his ChurchNext and his LeadershipNext. He is a senior professor in the School of Intercultural Studies at Fuller. Alan Hirsch calls him “one of the few elder statesmen in missional church circles.” He’s loved all over the world, I’m told. But here, he doesn’t didactly teach and admonish and dream, as much as he gently tells his story, sharing the texture of pastoring, the need to care about others in the family of God. 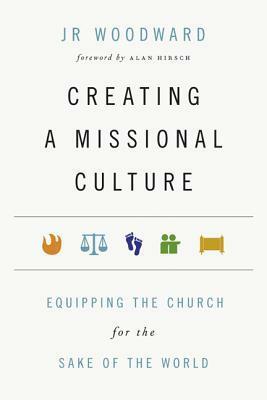 He tells of challenges he’s faced and offers insights for sustaining effective ministry. His sage advise and his interesting style seems somewhat close to Eugene Peterson, but a bit more feisty; a bit like Hirsch and the missionals, but not quite that edgy. In a truly lovely forward, his colleague and friend Richard Mouw speaks of Eddie’s respected reputation, his youthful energy, and how much he liked the book. Mouw uses words like “delightful” and “intriguing.” It is a fine book. 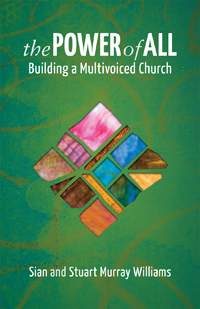 The Power of All: Building a Multivoiced Church Sian & Stuart Murray Williams (Herald Press) $15.99 You may know the most talked about Mennonite book in years, The Naked Anabaptist; Stuart Murray wrote that, inviting folks to consider the anabaptist tradition as a gift to the post-Christendom era. One needed by an Anabaptist to appreciate it, and be glad. Here, in a rare sort of book, they wonder how renewal can happen as everyone is drawn into involvement in the churches mission. They offer a New Testament model, showing how to value the voices of all, expecting the Holy Spirit to speak through all the members of the community. Nobody gets disenfranchised and everyone is encouraged to find their gift, their voice. 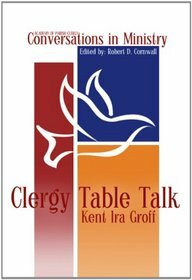 One early reviewer said this approach to congregational life is “an antidote to the boredom many experience in church and to the growing irregularity of attendance.” It is full of stories, stories of churches in conflict and churches experiencing renewal. Fascinating.